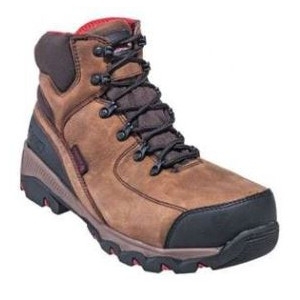 Rocky Brown 6" Men's Work Boot. Adaptagrip. Waterproof. 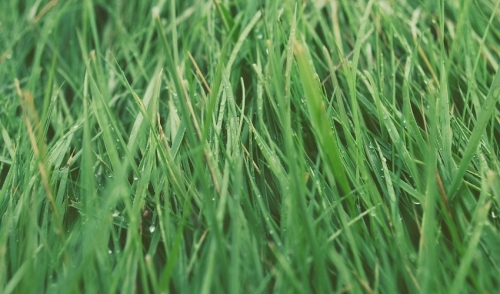 Slip-resistant. 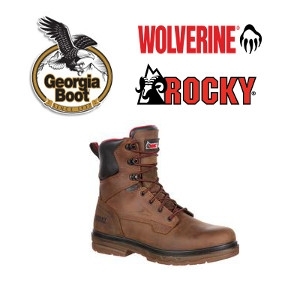 Stop in to see our selection of Wolverine, Rocky and Georgia brand Work Boots! 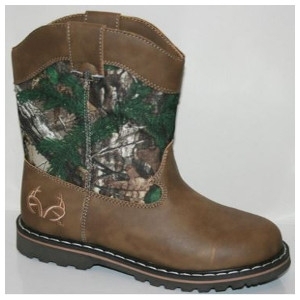 Many styles in stock. 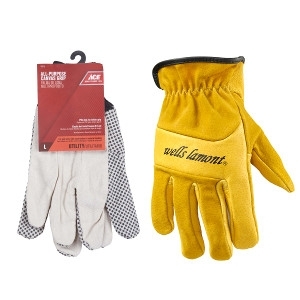 We have a great selection of Work Gloves from Ace and Wells Lamont! The Dustin JR. features the authentic Team Treal Tree logo. Side zipper closure for comfort, adjustability and style. Durable rubber outsole. The accessibility of this Rocky IronClad Wellington is superb; no muss no fuss, all you have to do it lift up the pull tabs in the morning and pull these work boots onto your feet. At the end of a long day, you will not have to spend any time unraveling knots and removing clumps of dirt from the laces just to get your footwear off. 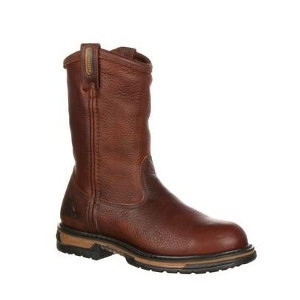 These brown boots have fantastic durability; the leather is hardy, the upper has clean lines and this boot looks incredibly rugged and masculine.